If you enjoy your freedom you might want to thank Don Juan of Austria today. And some other people. 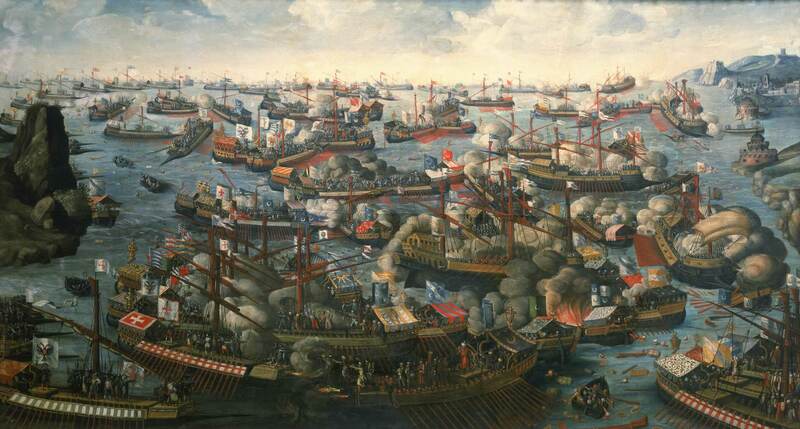 Because on Oct. 7, 1571 a ragtag fleet under Don Juan’s command thumped the Ottomans in the last major battle between galleys, a less famous victory than that on land outside the gates of Vienna in 1683 but also important in finally turning back the Islamic assault on the West that had been going on since the 7th century. You get a lot of grief these days from Islamists and their Western fellow travelers over the Crusades, as though these had not been a frequently botched and sometimes vicious counterattack attempting to regain lands sacred to Christians that had been wrested from them by force. Like Osama bin Laden’s outrage over “Andalusia,” another instance of Christians brazenly taking back something Muslims had stolen fair and square, it’s a very peculiar view of what constitutes aggression. Luckily the West, despite the usual chaos of open societies, fended off the challenge in one improvised effort after another. That’s why I want to remember not just the commander, but all those who fought at Lepanto because the cause mattered to them, not because like those on the other side they were the Sultan’s slaves. Had they not done so, history might have turned out differently and worse.